A car salesman’s credibility is quickly lost when he guesses what size engine is under the hood or what the gas mileage could be. Claiming a car has “good” gas mileage is not the same thing as knowing it’s 40 mpg. A 6-cylinder engine can come in a variety of flavors… in-line or V, turbocharged or naturally-aspirated, these details create some machines that are much faster than others. With cars, more is not always better, sweating the details creates vehicles that keep “car guys” debating for hours. People who care nothing for cars will make generalizations that make me cringe, but nobody wants a guessing salesman to help choose the perfect vehicle. How do car specs relate to eLearning standards? SCORM 2004 comes in three flavors, 2nd edition, 3rd edition and 4th edition… it can be confusing. Nearly75% of the products in our eLearning Atlas that support SCORM 2004, don’t specify which edition is implemented. While I’m sure the development team behind these companies understands the differences in the standard, the customer-facing side generally has no clue. Most don’t even bother to guess or publish it on their website. SCORM 2004 is powerful, but all editions are not created equal, most editions do not play nicely with one another. The generalization of SCORM 2004 sometimes creates compatibility issues that can be a source of frustration for customers. 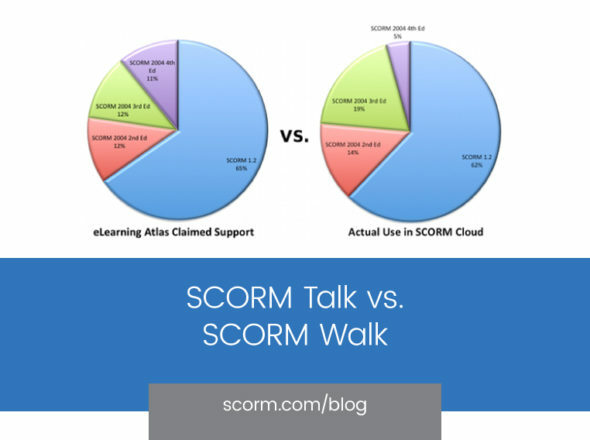 In order to truly understand if a piece of content and a LMS will easily work together, it’s crucial to know that they speak the same language, er, SCORM edition. I’ll quietly challenge those that generalize to express the details they support, even it’s not presented prominently. The eLearning Atlas provides an easy way to find the companies that know exactly which edition of SCORM 2004 they support. However, if a generalization of the standard is all that a user really needs, the eLearning Atlas has that covered as well.